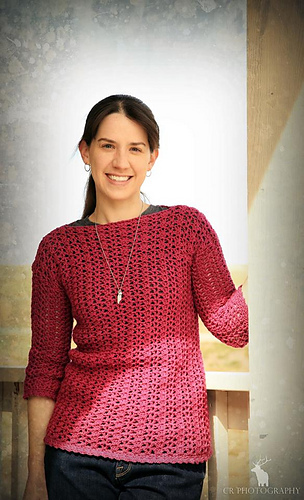 The Katie Blouse uses the same beautiful stitch combo as the Katie Cardi and the other pieces in the Katie Collection! 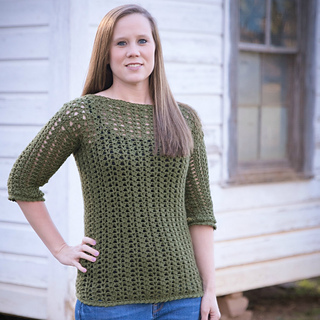 This blouse is made with a lightweight dk yarn to wear during the spring or fall months. It is made from the bottom up, with sleeves added at the end. The shaping of the blouse provides a gorgeous look for every shape and size!